Three centuries ago, the world ran on green power. Wood was used for heating and cooking, charcoal for smelting and smithing, wind or water-power for pumps, mills and ships, and whale oil for lamps. People and soldiers walked or rode horses, and millions of horses and oxen pulled ploughs, wagons, coaches and artillery. But smoke from open fires choked cities, forests were stripped of trees, most of the crops went to feed draft animals, and streets were littered with horse manure. For many people, life was “nasty, brutish and short” (Thomas Hobbes). 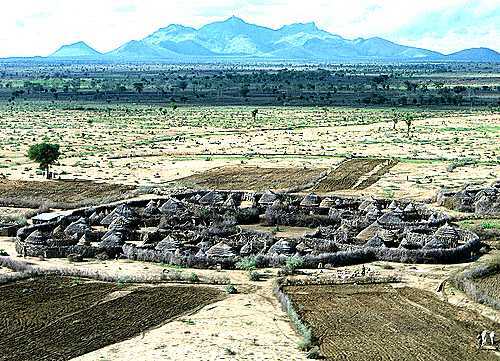 This African village shows the relationship between habitation and fuel, when wood is the only choice. The few nearby trees are being left for some other purpose and the only ones available for burning are already about a kilometre away. Whatever your fuel, you need it every day and, when it’s wood, every day you must travel a little further to get more. Auckland is clothed with a verdant blanket of trees; in places you can scarcely see the houses, but only because we’ve arranged an efficient alternative source of energy. Coal and oil preserve trees. Our continued use of hydrocarbons is nothing like an “addiction”, as misguided activists like to claim. Rather, hydrocarbons are economical, healthful and, used in modern, non-polluting engines and devices, sit more comfortably in the environment than the burning of our forests. They are more deserving of applause than condemnation. 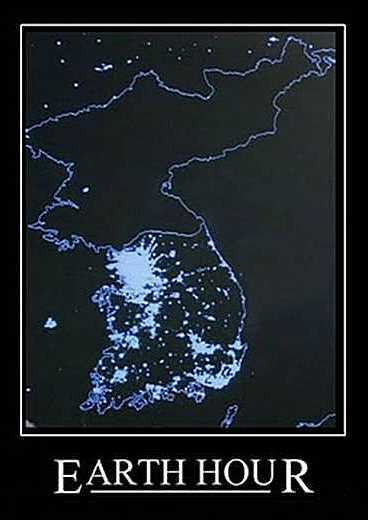 The Carbon Sense Coalition today proposed that coal, not candles, should be the symbol of Earth Hour. It was coal that produced clean electric power which cleared the smog produced by dirty combustion and open fires in big cities like London and Pittsburgh. Much of the third world still suffers choking fumes and smog because they do not have clean electric power and burn wood, cardboard, unwashed coal and cow dung for home heat. It was coal that saved the forests being felled to fuel the first steam engines and produce charcoal for the first iron smelters. Owen McShane draws our attention to a report from the Netherlands showing that wind farms are a net cost to human society and the environment. 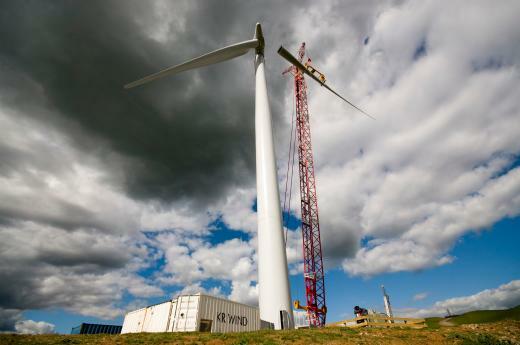 The report is titled Electricity in The Netherlands – Wind turbines increase fossil fuel consumption & CO2 emission, and the author is C. le Pair. 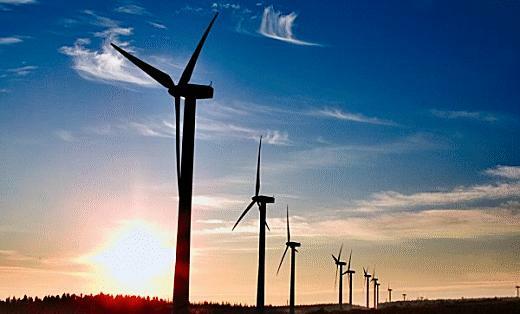 He says the models commonly used to calculate the economic and environmental benefits of wind farms are incomplete and overstate the expected savings. The wind projects do not fulfill ‘sustainable’ objectives. They cost more fuel than they save and they cause no CO2 saving — on the contrary, they increase our environmental ‘footprint’. A decision to invest billions (thousands of millions) of Euros in the construction of wind projects ‘to save fossil fuel and to reduce CO2 emissions’ is irresponsible. There are no savings, THERE IS LOSS! We do not consider it likely that more knowledge of the factors influencing the present outcomes would change our results appreciably. It is more likely that including the factors we identified as not having sufficient data on, would actually increase the loss. So far, our New Zealand windfarm operators are happy to go it alone with no overt subsidies, only hidden ones. This post from December 2010 reveals how we help our fledgling wind operators. But if they start to whinge about losing money, now you know that it’s the nature of wind turbines to cost money and degrade the environment, you won’t let the government waste our money in subsidies, will you? Andrea Rossi’s energy catalyser. 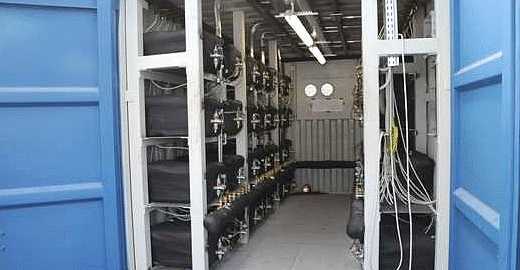 This is a demonstration module packed into a shipping container. Mark Gibbs, at Forbes Magazine, introduces, with caution, the E-Cat process, invented by one Andrea Rossi. This is a room-termperature fusion device, promising almost unlimited energy from relatively small amounts of nickel and hydrogen. Electricity could be produced in every suburb without the need of gigantic power stations, at so little cost it wouldn’t be sensible to meter it. Some measurement data seem to be available from a demonstration. An apparently public demonstration in the US planned for October 28 could produce more confirmation. UPDATE 1, 20 Oct 2011, 12:25 NZDT: There’s a long, rambling article about the inventor, Rossi, at Pure Energy Systems that includes a graph of machine temperatures and is followed by a bunch of links to articles covering the E-Cat. What’s this shale gas gig? — by Matt Ridley, British author and journalist. Originally titled “Gas against wind”. Shale rock where you can see it. Deep under the earth, shale is frequently full of natural gas, which moves only slowly through the rock. Water injected under high pressure cracks the rock and releases the gas. Clean, plentiful natural gas is ideal for producing the huge amounts of electricity we depend on, since the combustion products are merely water and carbon dioxide. Natural gas is left over from the formation of the earth, or it may even be generated naturally deep in the mantle — it does not rely on fossils, for methane is plentiful on other planets. Shale gas will save us. It has no nasty emissions like coal does, its modest wellheads sit in our landscapes much gentler than great, ugly, noisy wind turbines, it’s more abundant than oil, it’s easy to extract (with a clever new technique), it’s far cheaper than any “renewable” energy, including nuclear, it could last the world for 250 years and it beats wind and solar handsomely when the wind stops and the sun sets. What’s not to like? Here I’ve somewhat shortened Ridley’s superb summary, but his laconic style is available in full at The Rational Optimist. H/T Bob Carter. Which would you rather have in the view from your house? A thing about the size of a domestic garage, or eight towers twice the height of Nelson’s column with blades noisily thrumming the air. Over ten years, eight wind turbines of 2.5 megawatts (working at roughly 25% capacity) roughly equal the output of an average Pennsylvania shale gas well (converted to electricity at 50% efficiency). Let’s make the choice easier. The gas well can be hidden behind a hedge. The eight wind turbines must be on hilltops, where the wind blows. New pylons are needed; the gas well is connected by an underground pipe. Unpersuaded? Wind turbines kill thousands of birds of prey every year. And bats: the pressure wave from the passing blade just implodes the little creatures’ lungs. You and I can go to jail for harming bats or eagles; wind companies are immune. NZ wind turbines. New Zealand lies in the teeth of the “Roaring Forties.” But the winds are shifty. A new British study shows the real-life failures of wind turbines to deliver on over-optimistic green promises. It surely forecasts a shift in public opinion on wind farms. A happy coincidence this week revealed at once the folly of Britain’s growing reliance on wind turbines and the wisdom of the NZ government’s apparent preference for fossil-fuelled power generation. First, a new study sheds light on the failure of British wind farms to live up to expectations. Second, a leaked report shows the National-led government apparently plans to go all out for oil, coal and mineral wealth, not wind farms. Hurrah. It’s time to end the mollycoddling of wind and solar energy toys before this stupidity does irreversible damage to Australia’s electricity supply and costs. The mindless green dream of producing serious base load power from whimsical breezes and intermittent sunbeams has caused a halt to new low-cost coal power, a boom in expensive gas power, a national debate about nuclear power and no effect at all on global climate. The frivolous wind and solar generators already installed have caused a surge in electricity prices, a bonanza for Chinese manufacturers and well founded doubts about our future ability to keep the lights on. Provision of cheap reliable energy is a basic requirement for modern civilisation and is the engine that lifts people from poverty. It is far too important to be left to green dreamers, anti-industrial zealots, vote seeking politicians, engineering illiterates and guilt-ridden millionaires. It is already obvious from Denmark, Spain, California and Germany that subsidising green power creates very little power but much red ink in the accounts. It always causes massive burdens for tax payers, electricity consumers and industry. Tax payers and investors will rue the day they allowed politicians to waste their savings on chimeras. Get rid of all the mandated markets, subsidies and tax breaks for all energy generators, and leave power engineers and business managers to work out how best to supply our future energy needs in a free competitive market. Subsidised power must collapse under its own dead weight. But every day’s delay increases the eventual cost. The first wind turbine in the Te Uku wind farm, in Raglan, on the North Island’s rugged west coast. These things are enormous. Wind turbines are starting to overshadow the lovely Kiwi countryside, as well as spoiling it with their environmentally destructive ways. When the wind doesn’t blow, or it blows too hard, thermal power stations take up the load. Some calculate that up to 30% of the CO2 benefit of wind power is lost by using thermal stations for backup duty. Wind turbines destroy birds, peace of mind and the scenery. When they self-destruct their giant blades can shoot hundreds of metres in any direction. When they catch fire they pour buckets of black oil down their clean white shafts. Subsidies? In New Zealand? 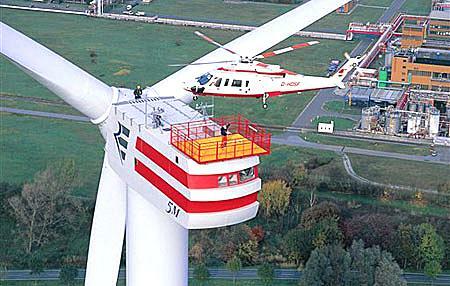 For wind power? Now Bryan Leyland provides the startling information that NZ wind turbines do enjoy substantial public subsidies. He laid them out for me. I’ll start with the smaller ones and shock you with the biggest at the end. 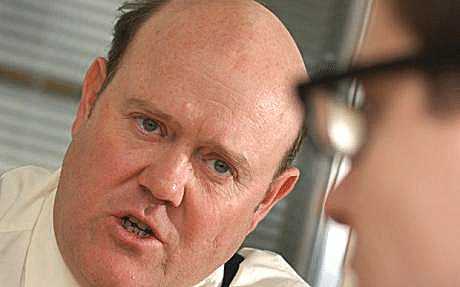 Rupert Soames, CEO of a portable generator company and grandson of Sir Winston Churchill. Just delivered a rocket to Scotland’s First Minister over plans to close power stations. THE “lights could go out” over Scotland unless new power stations are built in the next two years to ward off a looming electricity crisis, the head of one of Scotland’s most successful companies has warned Alex Salmond. Rupert Soames, chief executive of power supply firm Aggreko, told the First Minister that the National Grid will lose a third of its capacity by 2018 as a string of nuclear, gas and oil-fired power stations across the UK are retired – including several in Scotland. Mr Soames claimed that no other industrialised country in the world is at risk of losing so much of its energy supply at the same time – and without a realistic back-up plan. Welcome to Hell, eco-style. The infamous Banning Pass, near Palm Springs, California. This is not a manipulated image — there are as many windmills on the actual landscape as you see in the photo. But the loveliness of the landscape, far out to the blue hills in the distance, is obliterated by these whirring, pulsing monsters. Whether moving or still, intrusion is too gentle a word for them. I’m all for the freedom of the landowner, but this is a failure of reason on a gigantic scale. A good man learns from experience; a wise man from the experience of others. The following story describes actual experiences with modern windfarms. It has a Canadian focus, but can instruct us too if we listen. Let us do what we can to prevent these mistakes from occurring in New Zealand. of oil can be seen spilling down the tower. This is a “carbon-free” energy source? 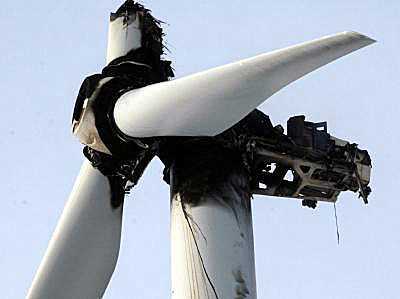 See more on our new page of wind turbine failures. Flemming Nissen, the head of development at West Danish generating company ELSAM (one of Denmark’s largest energy utilities) tells us that “wind turbines do not reduce carbon dioxide emissions.” The German experience is no different. Der Spiegel reports that “Germany’s CO2 emissions haven’t been reduced by even a single gram,” and additional coal- and gas-fired plants have been constructed to ensure reliable delivery. Indeed, recent academic research shows that wind power may actually increase greenhouse gas emissions in some cases, depending on the carbon-intensity of back-up generation required because of its intermittent character. On the negative side of the environmental ledger are adverse impacts of industrial wind turbines on birdlife and other forms of wildlife, farm animals, wetlands and viewsheds.